Are You Power Smart? Here’s How To Lower Your Electricity Bill… - The Co. Saving money on electricity isn’t just good for your wallet… It’s good for the country and the entire world. We all need to take responsibility for wasting energy. But I think saving money on our electricity bills is the best motivator for us to change our habits. Thanks to BC Hydro for their tips and resources as well as for sponsoring this post and helping us all reduce our energy consumption. Do you walk out of a room and instinctively turn out the light? Or do you walk upstairs in the evening to realize all the lights have been on all day while the house was empty? Do you keep your washing machine dial set to cold? Or do you regularly treat your clothes to an unnecessarily hot wash? Habits. Saving energy is mainly about changing your habits. Some habits are easier than others. But I find that the biggest step forward to lowering my energy bill is simply realizing how wasteful our habits can be. While researching for this post, I realized how many habits I need to change to lower my bill. Fortunately, there are lots of little things we can do to easily reduce our energy consumption. Snuggle up in warm blankets instead of cranking the heat.We keep a few cozy blankets always out and ready to use on our couch. Whether it’s first thing in the morning or later in the evening, when my girls are on the couch, they’re keeping warm under a blanket. Our electric fireplace stopped working a few years ago, but instead of getting it fixed, we’ve been saving electricity and saving money. While the fireplace had seemed cozy, a good blanket does the job too. Use reading lamps and light just the space you need.I admit I’ve often got far more lights on in my house than I need at any given time. But I’m going to try and change that habit and focus the light on a smaller area. Wash your laundry in cold water, in full loads, and hang most of it to dry.Your clothes will last longer if you just toss them in the dryer for only a moment to fluff and then hang them to dry. I usually wash my clothes in cold water, but my towels and bedding I’ve been wash in hot. Now I’m going to change to washing those in cold water as well. Of course your towels and bedding deserve to get soft and fluffy in the dryer… nobody wants to dry off after a shower with a crunchy towel. BC Hydro also has deals on LED bulbs and fixtures from March 3 – April 13 at participating retailers. Unplug electronics when you’re not using them.This can be a tough habit to start. I’m guilty of leaving everything from my coffee machine to my iPhone charger plugged in 24 hours a day. But, did you know that standby power can account for 10% of an average household’s annual electricity use? What a waste! I’ve actually got my desktop computer plugged in all the time and I almost never use it. I work on my laptop, which is actually a good way to save money… but I need to remember to turn off and unplug my desktop computer that I rarely use. This is definitely a habit I MUST change. How about you? Do you unplug your electronics when you’re not using them? For more tips, see BC Hydro’s 21 Tips: No-Cost Ways To Save Electricity. There are lots of ideas there that I’ll be following as I work towards lowering my bill. One of the most important ways to permanently change your electricity use habits is seeing the change in your bill. If you’re like us and you live in British Columbia, Canada, you’re in luck, because you can use BC Hydro’s electricity tracking tools to see your electricity use right down to the hour. To start tracking your energy use, first create an online account. If you have one already, login and select view detailed consumption to access the electricity tracking tools. I was shocked to discover how easily I can track my household’s energy use and even compare to similar homes nearby. And I’m embarrassed to admit, I’m wasting more energy than most of my neighbors. I’m going to be changing my habits this month and checking in to see how much I lower my bill next month. Since electricity bills are affected by the outdoor temperatures, it’s interesting to compare your electricity use to the same time last year and to the average outside temperature. We’ve had an incredibly cold January and February compared to last year and you can see that I’ve spent far more on my energy bill. You can also see a forecast of your projected bill amount based on your current patterns of energy use. 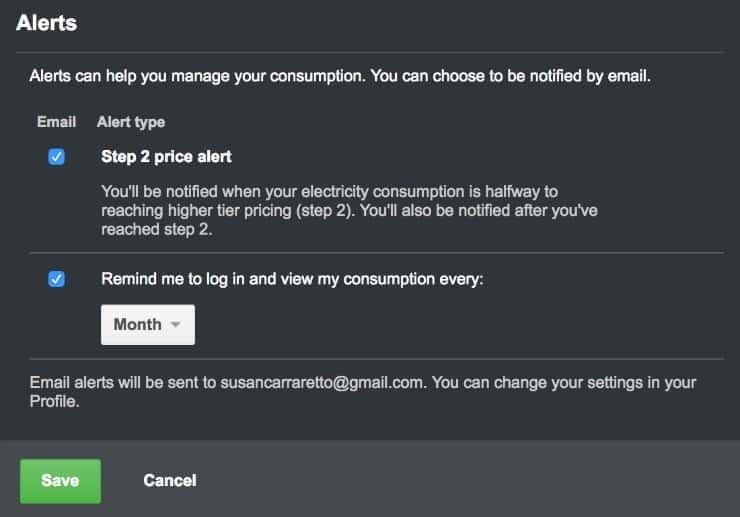 You can even set alerts and reminders so that you can take action to reduce energy use at certain times. I recommend showing the website to your kids so they can visualize the difference changing simple habits can make. By making some simple changes in your routines, you will see a positive effect in your electricity savings. I hope you’re as motivated as I am to reduce your energy consumption and stop wasting money on unnecessarily high electricity bills. Disclosure: This post is sponsored by BC Hydro. Extra thanks for reading and sharing. The post Are You Power Smart? 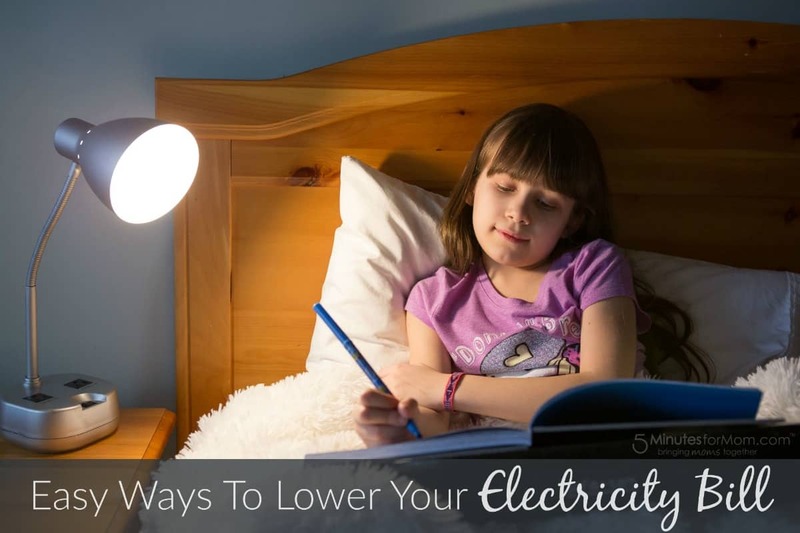 Here’s How To Lower Your Electricity Bill… appeared first on 5 Minutes for Mom. This is an excerpt from the article Are You Power Smart? Here’s How To Lower Your Electricity Bill… which originally appeared on 5 Minutes for Mom.